Algae Killing and Prevention | Spa Place Inc.
NavigationHomeSpasSwim SpasAqua Fit 19Aqua Pro 19Aqua Pro 16TidalFit Dual Badu JetsTidalFit Quad Swim JetsTidalFit No Swim JetsTidalFit Premium EP-14TidalFit Pro EP-15Dimension OneBay CollectionSarena BayAmore BayLotus BayDupree BayReflections CollectionChairmanDiplomatNautilusCalifornianNautiqueAuroraSevilleTriad@Home CollectionWayfarerArenaSojournDreamSerenadeJourneyFreeflow Sports SpasAptos™AzureCascinaMontereyTriStarPoolsSplash SuperPoolsSuperPoolModel: 9x17Model: 9x41Model: 13x17Model: 13x21Model: 13x25Model: 17x29Model: 21x41OmegaOmega Model: 12Omega Model: 16Omega Model: 20Omega Model: 24AlphaPoolAlphaPool Model: 12×23AlphaPool Model: 12×28AlphaPool Model: 17×28AlphaPool Model: 17×33TadPoolTadPool Model: 8TitanPool2TitanPool2 Model: 9×17TitanPool2 Model: 13×21TitanPool2 Model: 13×25TitanPool2 Model: 17×29TitanPool2 Model: 16TitanPool2 Model: 24SuperStream LiteSuperStream LiteSuperStream ProBioGuardPool Care SystemsAlgae Killing and PreventionBioGuard 3-Step Care SystemCleaning and Problem SolversMineral Springs ProgramOff SeasonOnce-A-Week 3-StepBioGuard – SoftSwimBioGuard – Pools Pods ProgramNon-Chlorine Pool ProductsSalt Pool ProductsSanitizers to Clean WaterShock to Remove ContaminantsWater BalancersWater EnhancersSpa GuardAlternative Spa Care SystemEffortless Spa Care KitSpa Shock to Remove ContaminantsSpa Sanitizers to Clean WaterSpa Water BalancersSpa Water Enhancers & CleanersExpert AdviceFive Keys to Basic Pool CareBioGuard – TroubleshootingSalt Water Pool FAQGeneral Pool Care FAQOpening & Closing Your PoolPool SafetyProduct SafetySplash-A-RoundSea BreezeAqua BlueKool PoolSteel Wall PoolEspirit PoolSentinelle PoolMorada PoolSaunasDry SaunasInfrared SaunasInfraSaunaSauna HealthAbout UsTestimonialsContactGo Shopping! The addition of algicide is needed for proper pool maintenance. 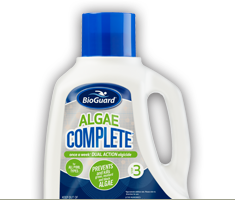 Sanitizers or shock/oxidizers alone may not keep algae at bay and this step is needed to keep your pool completely clear of any growth. 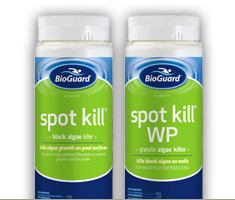 This is the third part of the BioGuard 3-Step Pool Care System. Do all algicides kill algae? 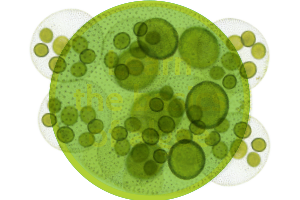 Not all algicides are alike, only algicides that have been approved by the EPA for killing algae actually perform. 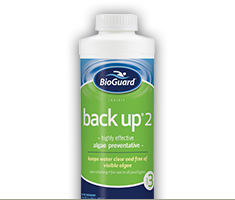 All BioGuard products have been thoroughly reviewed and proven effective. Various kinds of algae may require different treatments to ensure they are eliminated.